Are you looking to lighten up your menu a little now? 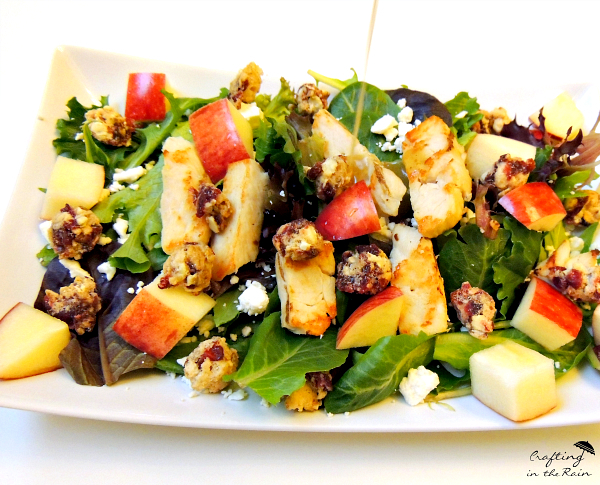 I’m sharing a tasty salad recipe that’s great for lunch or dinner. It’s sweet and tangy from the maple and mustard in the dressing. 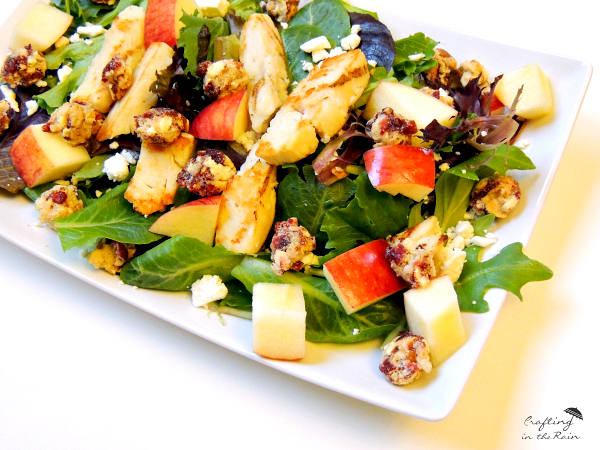 Then the salad is full of healthy greens, protein packed chicken, apples, feta cheese and topped with crunchy Craisins® Fruit Clusters. The salad is easy to make, and since it looks so fancy, you can also bring it to any potluck or dinner party and be sure you’ll get compliments. When it’s time to serve, simple drizzle the dressing over the top. 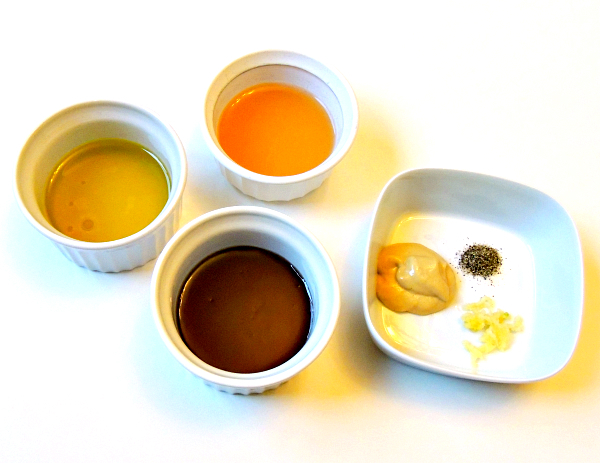 OR, try this little dressing trick. Add dressing to the greens and toss to coat BEFORE adding any of the other ingredients. This makes sure that the dressing is evenly distributed, and the top of the salad stays pretty. But only do this if the salad will be served right away. Otherwise it can make the lettuce get too wilt-y. Isn’t it such a pretty salad? 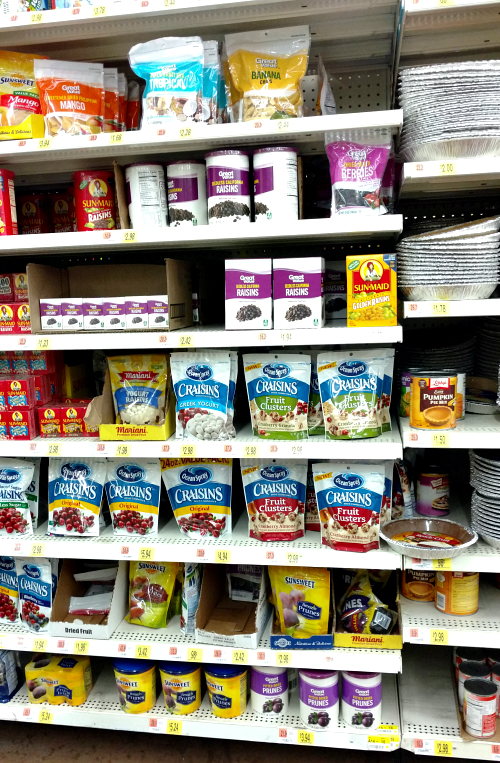 You can find Craisins® Dried Cranberries Fruit Clusters right by the regular Craisins® Dried Cranberries in the dried fruit section at Walmart. 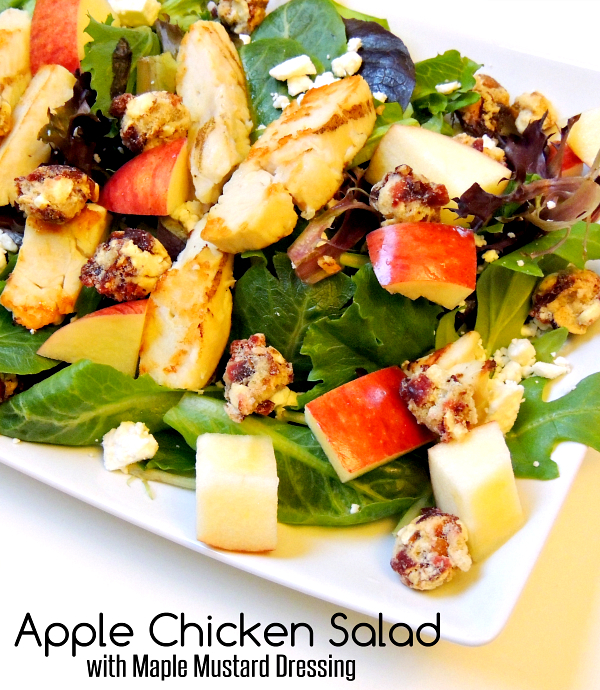 There are several flavor varieties that would be great additions in this salad, other recipes, and for simply snacking. 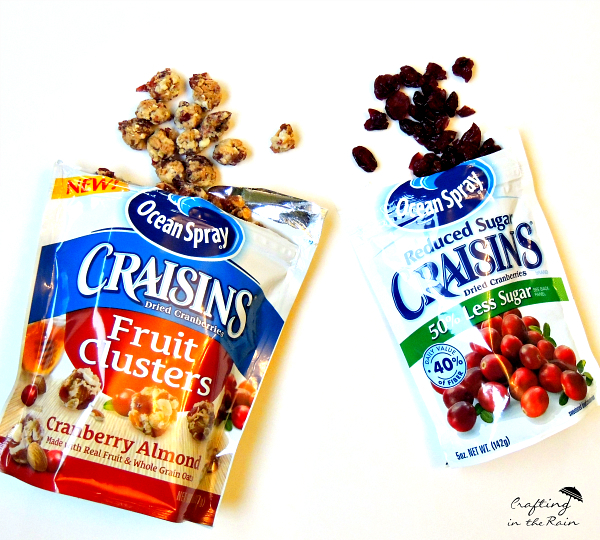 Examples include Craisins® Dried Cranberries (Original, Reduced Sugar, Cherry, Blueberry, Pomegranate) and Craisins® Fruit Clusters (Cranberry Almond and Cranberry Granola. 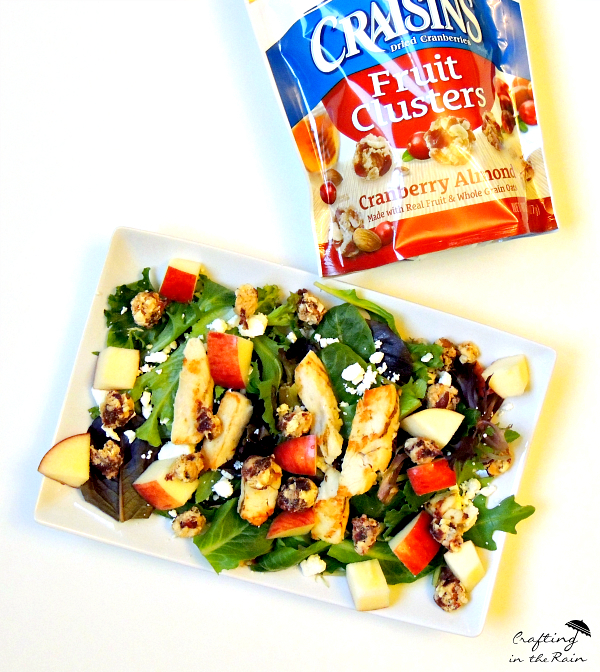 How will you add zing to your favorite recipes with Craisins® Dried Cranberries and Craisins® Fruit Clusters? Take a picture of it, post it to Instagram and tag @oceansprayinc so they can see it! That looks delicious Stephanie! After the holidays I always feel like I need some healthy options. Thanks for sharing!